The Environment and Ourselves is a compilation of three short films by Rhode Island filmmaker Kendall Moore. The trilogy will premiere on Thursday, July 20 at 8 p.m. as part of the ongoing Rhode Island PBS documentary series, Rhode Island Stories. It will encore on Saturday, July 22 at 11 p.m., and on Sunday, July 23 at 7 p.m. 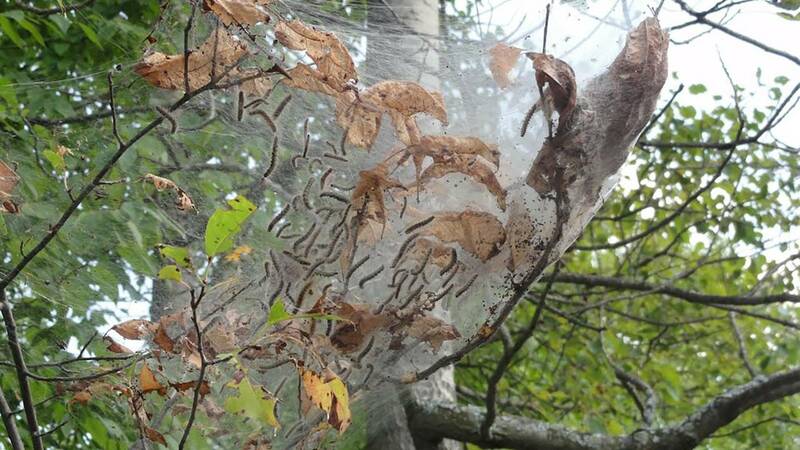 The first segment, Gypsy Moth Infestation, investigates the devastating defoliation inflicted by these tiny but voracious – and countless – caterpillars infesting acres of Rhode Island forests. Segment two, Lead Paint in Rhode Island, looks at the issue of lead paint poisoning in an intimate way by sharing the story of Jalen Hayre, whose lead poisoning at a young age has led to numerous health battles throughout his life. Finally, Harmful Algal Bloom explains the effects of the rapid accumulation of algae in freshwater or marine water systems. Recently, these algal blooms led to the halting of shellfish harvesting in Narragansett Bay. The Environment and Ourselves was produced in partnership with the Metcalf Institute for Marine and Environmental Reporting, the University of Rhode Island Journalism Department, the University of Rhode Island Harrington School for Media and Communication, and Rhode Island PBS.